Environmental compliance is a necessity, but it does not need to be expensive and in some cases it can even be profitable. For example, industries that meet the requirement outlined below can use a process now available that removes essentially all NOx and SO2 and thus makes available a large number of Emission Reduction Credits (ERCs). These can be sold. A process now available removes essentially all NOx and SO2 and thus makes available a large number of Emission Reduction Credits (ERCs). These can be sold. This article describes how to profit from economic incentives associated with environmental abatement in excess of that required by regulatory agencies. Availability of an environmental abatement technology that can cost effectively remove considerably more than the required amount of the regulated pollutant. Environmental credits that are the core of profitability could be integrated into other environmental programs like cap-and-trade and emission trading. Fortunately, the options are concise and professionals are available to provide guidance in this area of complexity. It is essential that the source emitting the criteria pollutants is affiliated with a geographic area that offers credits for the destruction of the pollutants. Ideally the source is located within the geographical area, but there are exceptions that should be considered. This match is relatively easy to verify. The methodology selected to abate the criteria pollutant must be able to dramatically reduce the concentration of the pollutant below the local regulatory agency’s performance threshold in a cost-effective way. This requirement can be the most difficult to meet because most abatement technologies deliver linear improvements in removal efficiency at exponentially increased costs once the technologies exceed their typical performance capabilities . The six common criteria air pollutants are ozone (O3), particulate matter (PM), carbon monoxide (CO), nitrogen oxides (NOx: both NO and NO2), sulfur dioxide (SO2), volatile organic compounds (VOC’s), and lead (Pb) . Regulatory compliance requirements vary by geographic area. 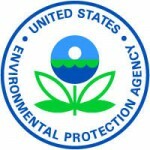 The EPA requires each state with a pollution problem to file a State Implementation Plan. The states then require local agencies within the state to file their own compliance plans to meet even more localized compliance challenges. As noted above, successful application of the profitable environmental compliance formula requires a match between a local regulatory compliance requirement for a specific criteria pollutant and the emission of that pollutant at a facility typically within the jurisdiction of that regulatory agency. When the pieces come together, the results can be profound. The following is an example. A Pilkington Glass facility at Lathrop, California (within the San Joaquin Valley Unified Air Pollution Control District [SJVUAPCD] regulatory district) asked Pacific Rim Design & Development (PRDD) to propose a solution that would meet or exceed the local regulatory agency requirements for NOx, SO2, and particulate generated by a large natural gas-fired furnace. PRDD designed and then successfully pilot-tested a combination of abatement technologies at the Pilkington facility. The pilot study performance results demonstrated removal efficiencies that removed virtually all NO, NO2, and SO2—an amount that dramatically exceeded the SJVUAPCD requirement for abatement of these criteria pollutants. The PRDD technology also removed more than the requisite amount of particulate. Thus a large number of credits are available, which may be sold on the open market. Pilkington plant makes approximately 75,000 standard cubic feet per minute of exhaust gas. Gas temperature at base of stack is approximately1000°F. Gas contains 130–150 pounds NOx per hour (Mostly NO). Gas contains 15–40 pounds per hour of SOx. Gas contains 10–13 pounds of particulate per hour. Plant production is 500–550 tons of glass per day. Plant operation is 24 hours per day. How much added profit was potentially available from reducing NOx & SO2 to nearly zero? Solve for percent NOx removal efficiency required to minimally meet regulatory requirement. Solve for percent SO2removal efficiency required to minimally meet regulatory requirement. This is the amount of SO2 in excess of the required SO2 removal requirement. It can be sold for credits if a way to economically remove it can be found. Solve for percent PM10 removal efficiency required to minimally meet regulatory requirement. How much potential income is generated by using an efficient abatement system? Brokers like BGC buy and sell ERCs generated by environmental compliance that is in excess of agency requirements. The values for emission credits fluctuate on an open market much like the stock market. The calculations below are based on the average between the bid and ask price. How much potential profit was available as a result of selecting a cost-effective abatement system? Each situation is different and not all projects produce a profit. This model is not limited to NOx and SO2; it also applies to the other regulated pollutants. 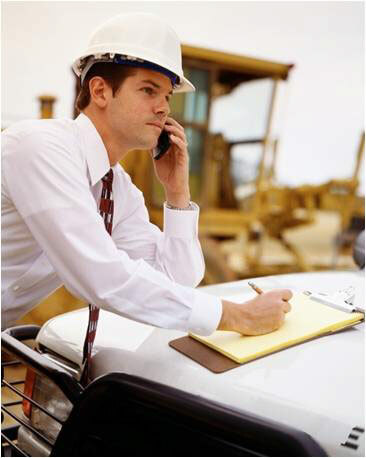 Typically, large industrial and utility projects have the propensity to meet the above requirements. The identification of a cost-effective abatement system with high removal efficiency is the most challenging aspect of this equation. There are variables beyond the obvious equipment cost and removal efficiency. An often-overlooked variable is the cost of treating any waste products generated by the abatement process. In liquid abatement systems this can come from contaminated waste liquids. In gas- phase reactions like selective catalytic reduction more costs can come from creation of particulate that is itself a criteria pollutant. An often-overlooked variable is the cost of treating any waste products generated by the abatement process. Pacific Rim Design & Development and other firms focus on GREEN in the design of abatement technology. It is possible to have cost effective systems which produce little or no waste products. Some projects even generate reaction byproducts with commercial value. As an example, the Know-NOx process for NOx and SO2 abatement can produce commercially viable fertilizer (ammonium sulfate) and commercially viable mineral acids. Robert Richardson, Ph.D., (robert@prdd.net) is president of Pacific Rim Design & Development Inc.
Robert Richardson and PRDD are mentioned in this article about Gas-Phase option for NOx abatement. Read about it here on page 12 of Chemical Engineering Magazine! Controlling Air Pollutants :: Chemical Engineering. Dr. Richardson and Know-NOx are mentioned/quoted in this article by Joy Lepree of Chemical Engineering Magazine. Dr. Richardson’s article entitled, “A Breath of Fresh Air” was recently published over at The Green Economy’s website. Clean air unites us across borders – the ability to breathe clean air is valuable to everyone. Everyone wins: plants, animals, people and our buildings benefit from the cost effective treatment of greenhouse gases at their source. Dr. Richardson will be presenting a paper for the NASF SUR/FIN Manufacturing & Technology Conference on Tuesday, June 11th, 2013 in Rosemont, Illinois. His paper is titled “NOx Scrubbing Technology Breakthrough” and will present research findings and practical results that address the treatment of problematic greenhouse gases: Nitrogen oxides (NOx) and sulfur oxides (SOx). There are many ways to treat NOx and each has advantages and limitations. 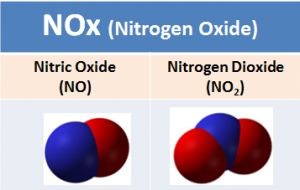 His process effectively treats both nitric oxide (NO) and nitrogen dioxide (NO2) in a way that is faster and more effective than other available technologies. His process also simultaneously oxidizes SOx. The paper will compare and contrast these technologies from the perspective of applicability to the chemical milling industry. Innovative patented gas phase chlorine dioxide (ClO2) sensor dramatically improves process control. A business relationship between Dr. Richardson of PRDD Inc. / Know-NOx LLC and Deep Reach Oxidation LLC (DRO) makes a powerful new patented gas phase ClO2 sensor available for a variety of applications. This new patented gas phase ClO2 sensor was developed by DRO, in conjunction with Dr. Materer of Oklahoma State University for specialized applications. Dr. Richardson and the DRO team are applying this technology to broad industrialized applications – beginning with process control for NOx (nitrogen oxide) abatement utilizing the Know-NOx process. The new NOx abatement process developed by Know-NOx LLC will utilize this new patented gas phase ClO2 sensor with real time and confusion free analytical data over a wide detection range as one of the sensors used in the control of the Know-NOx process. This is the first of many proposed applications for the patented ClO2 sensor developed by Deep Reach Oxidation. Stay tuned for further developments in the future. Dr. Richardson will be attending the National Association for Surface Finishing (NASF) Manufacturing & Technology Tradeshow & Conference in Rosemont, Illinois on June 10th-12th, 2013. This event will feature over 70 presentations and 67 speakers. Keynote presenters will include Rick Wire from Boeing, Ed Kanegsberg from BFK Solutions, Keith Legg from Rowan Technology Group, and of course, Robert Richardson from Know-NOx. Dr. Richardson will be presenting information on his new and innovative NOx Scrubbing Technology Breakthrough. Topics will range from Chemical Milling to Aerospace to Regulatory Issues. There will be many international surface finish suppliers and producers during the event. This is the largest event in the Surface Finishing Industry and this year’s conference promises to be one of the best yet as they expect to draw over 1200 attendees! If you are also planning to attend, please feel free to contact Dr. Richardson in advance (robert@know-nox.biz, 530-474-4819) or introduce yourself at the conference. He would very much enjoy meeting you. The EPA and many clients with NOx compliance challenges are excited about Know-NOx technology. Know-NOx participation in research, testing, and problem resolution has earned favorable recognition with many local EPA districts. The PRDD/Know-NOx technology appears to be the best available option for ambient temperature NOx abatement compliance with Part 50.11 of the National Primary & Secondary Ambient Air quality Standard for Oxides of Nitrogen. Not only is the Know-NOx technology orientation campaign helping clients understand the methodology and evaluate cost effective compliance options, it is helping the EPA understand a new and valuable NOx abatement option. Contact us for additional information and a technical overview as it applies to your application. Pacific Rim Design & Development is a leader in environmental science and engineering. We specialize in cost effective, GREEN, Best Available Control Technology for airborne toxic and odor abatement process development. Through progressive research and pilot testing, we provide design alternatives to conventional technology that give our clients long term solutions that keep pace with the constantly tightening of regulations specific to air quality. Copyright 2013 Pacific Rim Design & Development, Inc.